I'm also not even close to the NaNoWriMo goal of 50,000 words. I don't know if I'm going to hit it this year. My story is a lot more difficult for me to write than the one I did last year. But as soon as I finish up the first story, I'm going to jump into the sequel and see how far I can get before the end of the month. Maybe it'll give me some more ideas for the first story. I also wrote a one shot this week for the Glee fandom, which I included in my word count. I had the story idea in my head, and it wouldn't leave. As I was stuck on my original story, I figured I might as well write the fan fic just to keep myself writing. It came to a little over 11,000 words, but I don't think it'll ever see the light of day. If I do decide to post it, I'm going to have to do a lot of work on it. So basically I'm working on three stories for NaNo this year, lol. Ah well, as long as I hit the 50 K mark. In other news, I got a new job which I start next week. This is a huge relief to me as I've been unemployed for awhile. It was one of the reasons I was so desperate to get published. Any income was better than nothing. But now I can take some time with my story and I don't have to rush it. Hopefully by the time I have it ready to go to agents, I'll have a solid manuscript to offer them. I also have a book recommendation for you. I'm a huge fan of the Percy Jackson series by Rick Riordan, and I'm really enjoying the spinoff, The Heroes of Olympus. 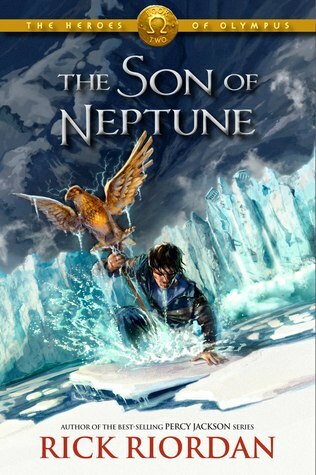 I just finished The Son of Neptune, which is the second book in the series. I don't want to say too much about it because I'd end up giving spoilers away, but if you like adventure/quest stories or Greek and Roman mythology, I'd highly recommend these books to you. I especially enjoyed this book because we got to see Percy again, who had been missing in the first book, The Lost Hero. The only negative I have to say is the bloody cliffhanger at the end, and sadly I have to wait until Fall 2012 for the next book. Grr.